We are away on our summer holiday. As this is our thirtieth wedding anniversary we have travelled further than usual. There have been reminders of Abingdon, 3,359 miles away. 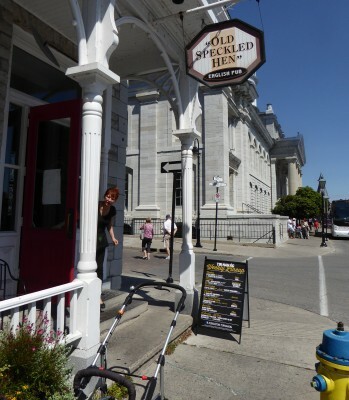 Old Speckled Hen beer has reached Kingston, a Canadian city located on Lake Ontario. British loyalists retreated here from the independent United States of America during the American Revolutionary War (1775–1783). They helped defend Canada from USA attempts to expand the States northwards in the war that followed in 1812. 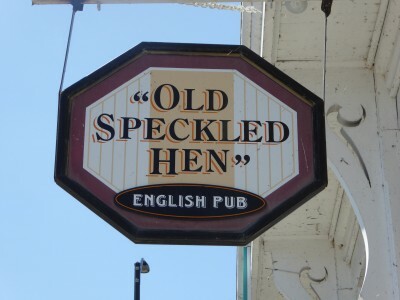 However Canadians have not taken to “Old Speckled Hen” as well as might be expected and three years on, from the inauguration of this pub, the beer, that originated in Abingdon is no longer available on draft, only in cans. We will be back home in a few days, where A and J are holding the fort. Then a very busy week as Heritage Day is on 12th Sept, something I help organise, and there are events before and after. See abingdonheritage.co.uk. By the way if anybody has pictures of Victorian ancestors, who lived in Abingdon, please get them copied in the library where we are starting a collection. 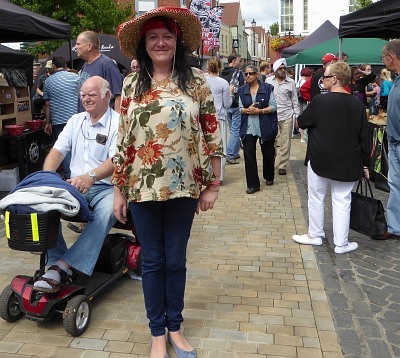 Thanks to Suzanne and Rob for this report from 4 days ago. 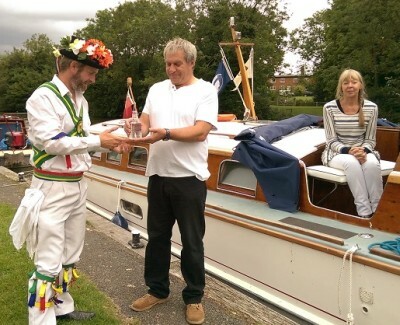 “My husband, Rob, our cat Lolly and myself took our boat upstream to Sandford and on Wednesday collected a bottle of Thames source water that is making it’s way downstream via different river users. There is more information about its journey at: http://totallythames.org/events/info/source-to-sea-river-relay ). 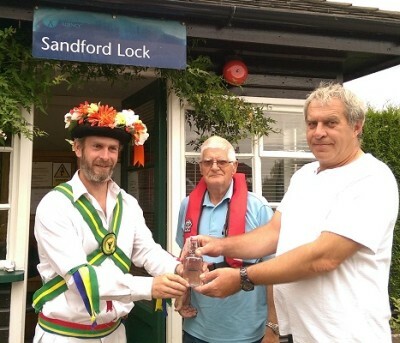 Our task was to safely carry the bottle from Sandford Lock to Abingdon Lock where it would be looked after for the night before continuing it’s journey the following day without us. 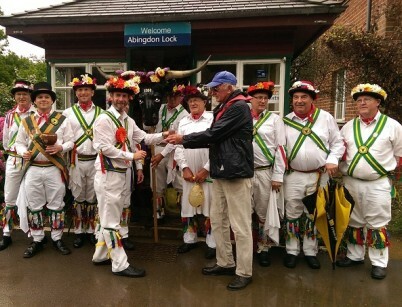 At Abingdon Lock Rob, of the Abingdon Traditional Morris Dancers, was met by his fellow Morris men and they danced (in the pouring rain) to entertain boaters passing through the lock, before the bottle of source water was officially handed over to (ex Morris dancer) Frank who was manning the Lock. 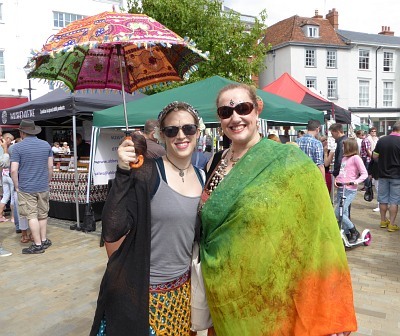 The 2nd Chilli Festival took place on Abingdon Market Place today – organised by Dawn. Colourful people were there to entertain with dance and music. 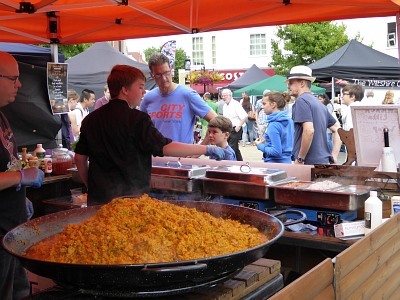 Giant Paellas, Thai curries, Indian curries, and many other dishes could be tried. 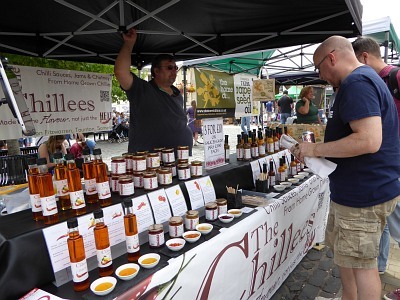 Then there were stalls offering chilli plants, chilli peppers, chilli oils, sauces, pickles and jams to sample and buy. Could chilli be the elixir of life? 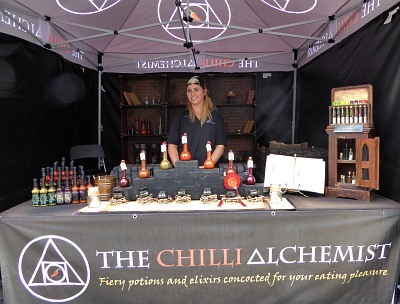 The Chilli Alchemist seems to thinks so. 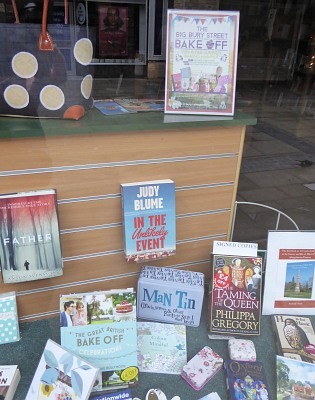 Shows like ‘Great British Bake Off’ have helped encourage people to bake. Bury Street shopping centre has launched a cake decorating competition, and the winner receives a hamper full of baking goodies worth £100. All you need to do enter is send a photo of cakes or cakes that you’ve decorated via their website or Facebook and you could win the hamper. They are accepting entries until 19th August, when a shortlist will be chosen by an impartial voting team. 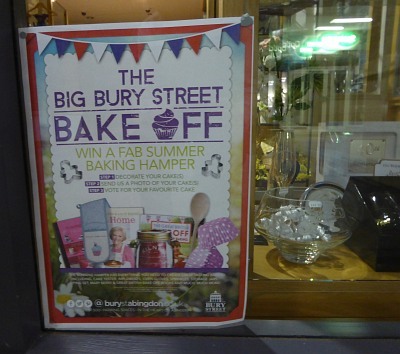 Then it’s over to the local community around Bury Street and Abingdon to pick the winner. The poll will run via the website, Facebook and Twitter as well as by newsletter to centre members. 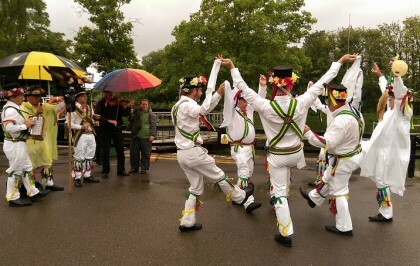 Visit www.burystabingdon.co.uk or ‘like’ them on Facebook and ‘follow’ them on Twitter . 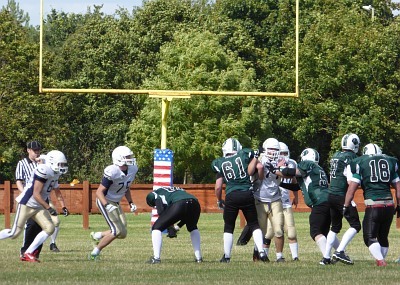 I was passing by the American Football Game between the Oxford Saints and a visiting team on Sunday at Southern Town Park in Abingdon. After a period of stop-go action, both teams went off for a talk from the team coach. 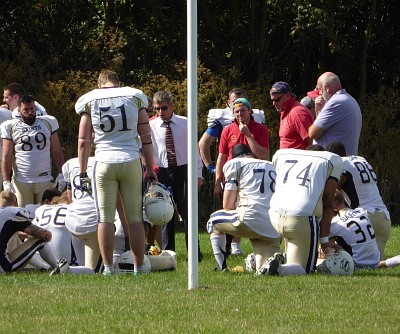 I left wondering why they keep kneeling down when anybody gets hurt, or the coach is talking.